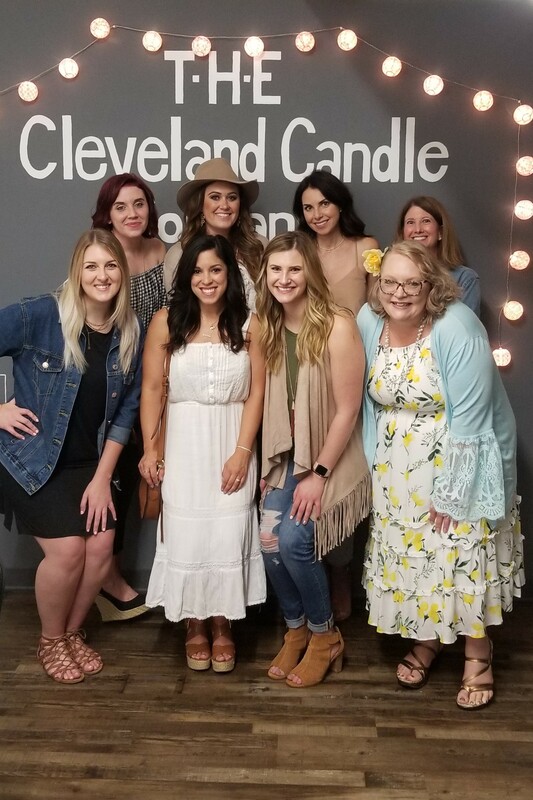 Last Friday night I enjoyed a fun-tastic Girl’s Night Out with a group of fellow Cleveland bloggers. We started our night by making custom candles and Cleveland Candle Company and wound things up with dinner at drinks at TownHall. GNO fun with some Cleveland Blogger’s! 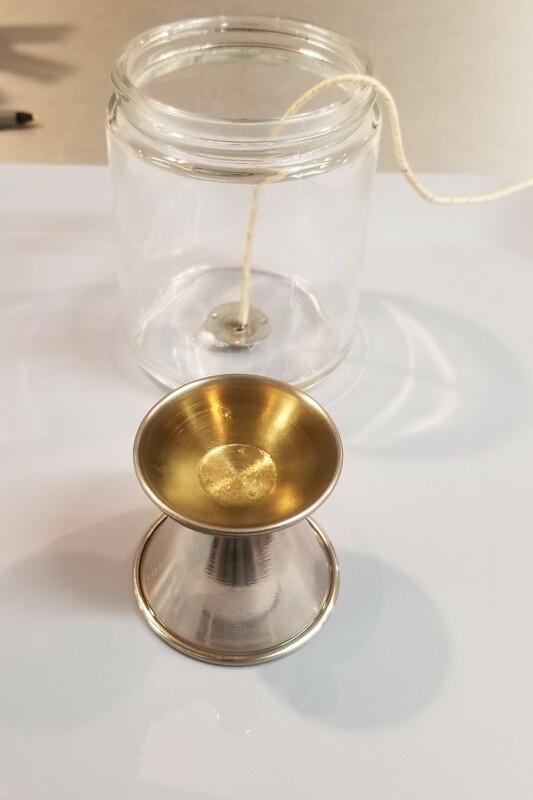 Note: Cleveland Candle Company and TownHall provided us with products and/or services in exchange for reviews/promotion. All opinions expressed in this post are 100% my own. For full disclosure policy, click here. Our evening started at Cleveland Candle Company in Ohio City. Let me tell you, this place smells incredible! Once we all gathered, our helpful hosts suggested we visit the candle wall and just write down any scent that appealed to us. They have so many incredible options (over 200)! All sorts of plants, flowers and food as well as some more unusual fragrances like fresh cut grass, tobacco and sleepy baby! Once we had a comprehensive list, the staff helped us decide what might pair nicely together for a custom scent. Time to create! We each blended our chosen oils into a unique scent. Next we mix the scented oil with the wax until it’s fully blended. Then it was time to let them dry while we did a little shopping in the store (bath bombs, soaps, lip balms and more) and headed out for dinner. Candles can be made and ready to take home in 2 hours or less – the perfect girl’s night activity! Found some scents that work well together! All the girls absorbed in creativity! All wax is a 100% custom soy blend sourced from US soy beans. The glass jars are all US made and 90% of their fragrance oils are sourced from Ohio. Into shopping not creating? They have pre-made candles and gift sets to grab on the go and you can shop from home at their online store. 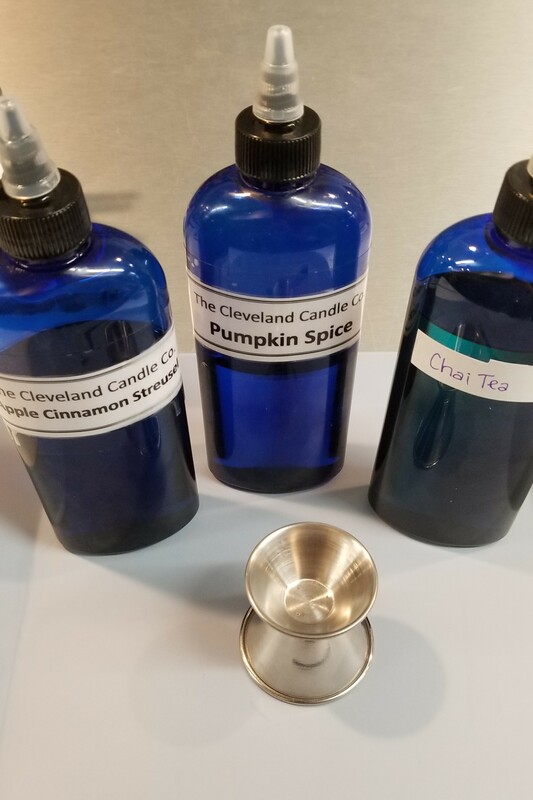 Call 216-471-8477 to arrange a private party or check out their scheduled creative classes where you can make candles, bath bombs, lip balms and more! You are welcome to bring your own beer, wine and snacks. While waiting for the candles to dry we headed down the street to TownHall for some drinks and dinner. TownHall has been a longtime favorite ours for both their ambiance and incredible selection of craft beers. But, believe it or not, this is the first time I’ve ever eaten at there and I can’t believe what I’ve been missing! We started out with an assortment of apps for the group. For my entree, I got the Poke Bowl; an explosion of flavor and freshness that comes with your choice of rice, cucumber noodles or quinoa and a mixture of wild yellow fin tuna, wild salmon, seaweed salad, avocado, kimchi, ginger and more. It was fantastic! All in all, I was quite impressed with the originality of their menu which included multiple keto and paleo options. But fear not, if you are a less adventurous eater! They had a fantastic burger and truffle fry option (may have snagged a sample fry from my seatmate), flat breads and tacos as well. A huge thank you to the multi-talented Amanda Blakeman for arranging this memorable event! 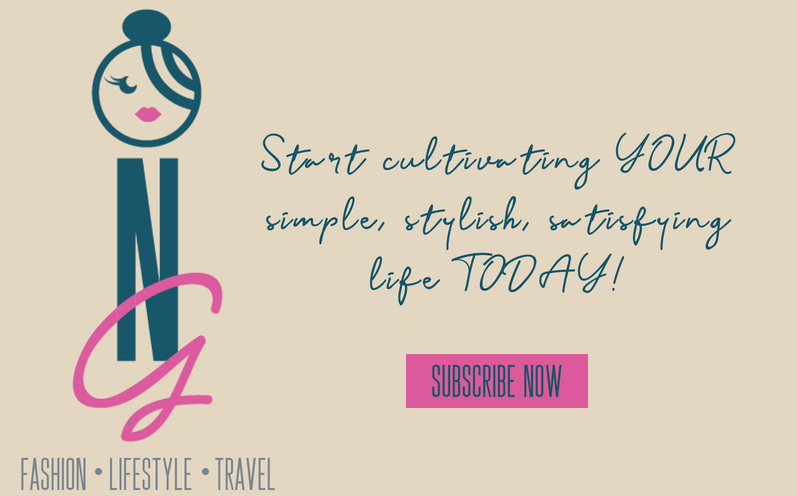 Be sure to check out her blogs at Blissful Gal and Amanda Blakeman. While you’re at it, check out the work of the other fabulous ladies in attendance. It was truly the cream of the crop of Cleveland bloggers! Fabulous blog! Wish we had something like that here in Sam Diego!!! It’s amazing the things you can discover in your own city! We’ve got a glass blowing studio as well. So fun to try something different every now and again! That sounds so lovely! Enjoy your weekend! Thanks, to you as well! It was a great time! What a fun event and that poke bowl looks delicious! I have never had one but now I want one! I hope your week is going well so far. Oh, they are so good! Poke has gotten to be a big thing around here but nothing beats the original in Hawaii. Ah, if only!